INGHAM, in far north Queensland, has been declared a disaster zone as flood waters completely cut the town off. Many locals are stranded as catchments in some areas exceeded 12 metres overnight and the town's roads became submerged under water. Aerial footage shows just how much damage has been done, with more than 200 homes affected by the rising waters. With water spilling in to heavily populated areas, there is a risk of dangerous wildlife coming into contact with those affected. 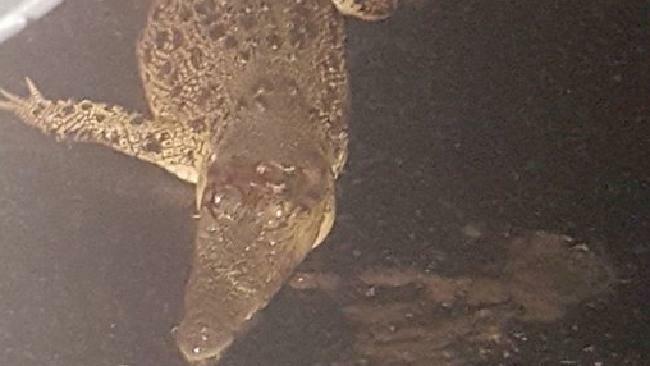 Local woman, Rhonda Brown, came across a crocodile on her way home from work on Thursday evening. 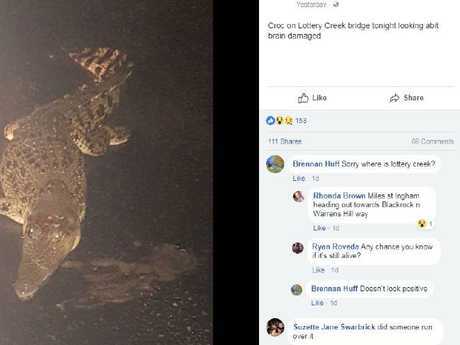 She posted a photo to her Facebook page yesterday of the injured reptile on Lottery Creek Bridge, warning others of the hidden danger lurking underneath the floodwaters. The crocodile was no longer there when Ms Brown returned the next day. One commenter asked "Any chance you know if it's still alive?" to which Ms Brown replied "I think so, it didn't move much and I wasn't going to find out either." The croc was no longer there when she returned the next morning. The rising waters, which are believed to be the worst floods to hit Queensland since 1974, have cut schools and businesses off and inundated emergency services with calls from stranded residents. While major flood levels have lowered to 12m since last night, the Bureau of Meteorology said levels are expected to continue to drop but remain at a major flood level category. 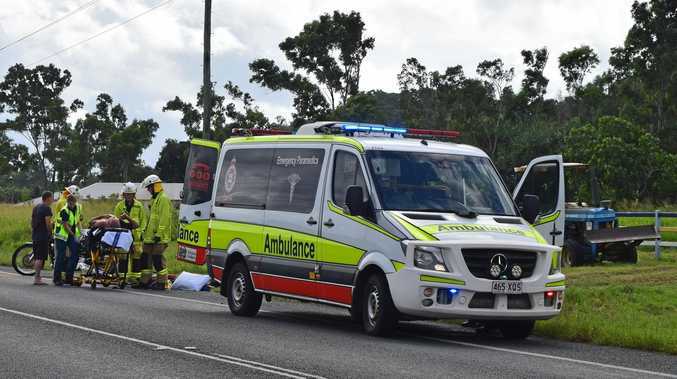 Premier Anastacia Palaszczuk said authorities were expecting more calls in the Ingham region, despite being inundated over the last 24-hours.